It wants the OSCE Special Monitoring Mission to have full access to all conflict areas. The EU has condemned the intense fighting around Avdiyivka in eastern Ukraine and calls for fighting to stop immediately, Maja Kocijančič, spokesperson for EU Foreign Affairs and Security Policy Federica Mogherini, has said. 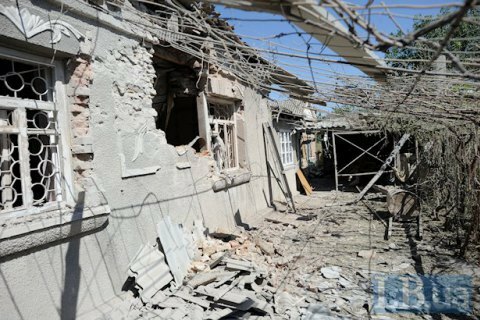 "The intense fighting around Avdiivka in the last few days, involving heavy shelling with proscribed weapons and leading to a considerable number of casualties, is a blatant violation of the ceasefire, as stipulated by the Minsk agreements. It puts civilian inhabitants at grave risk. Furthermore, these latest incidents have already caused major disruptions in the provision of basic utility services to the local communities," she said in a statement. "We call for the fighting to stop immediately. This would also allow for the urgent repair of critical infrastructures," she added. Kocijančič said the OSCE Special Monitoring Mission must be granted full and unrestricted access to all conflict-affected areas.